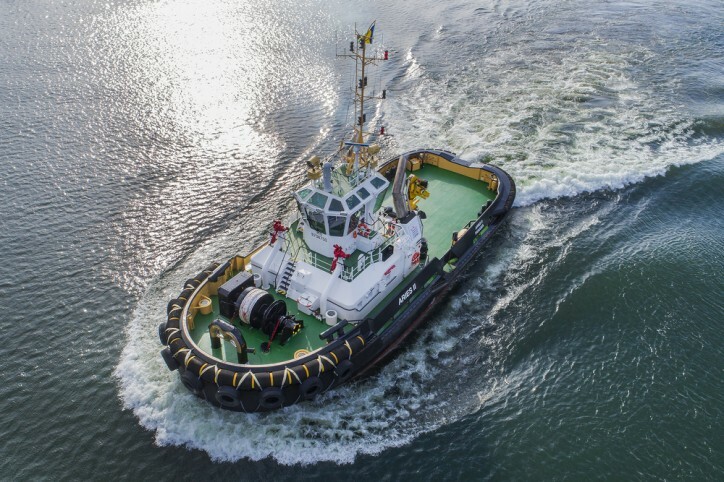 Damen Shipyards Gorinchem has delivered five new harbour tugs to Empresa de Navegación Caribe, a subsidiary of Cuban maritime company Grupo Empresarial de Transporte Marítimo Portuario (GEMAR). Prior to the order being placed, all of the vessels were being held in stock at Gorinchem and were subsequently delivered within three weeks of the orders being confirmed, steaming across the Atlantic Ocean to Havana on their own keels. Four of the five vessels are Damen’s best-selling Stan Tug 2608 model, 26-metres long and with a bollard pull of 47 tonnes. The fifth is the larger Damen ASD 2810, with 60 tonnes of bollard pull. All were built at the Damen Song Cam Shipyard in Vietnam before being transported to Damen Shipyards Gorinchem to be held in stock for finishing and rapid delivery. Three of the five are standard vessels. The 2810 was already equipped with a variety of options including a crane and a fire-fighting system and so was available for immediate delivery, and the last of the Stan Tug 2608s was fitted with an aft winch prior to handover. 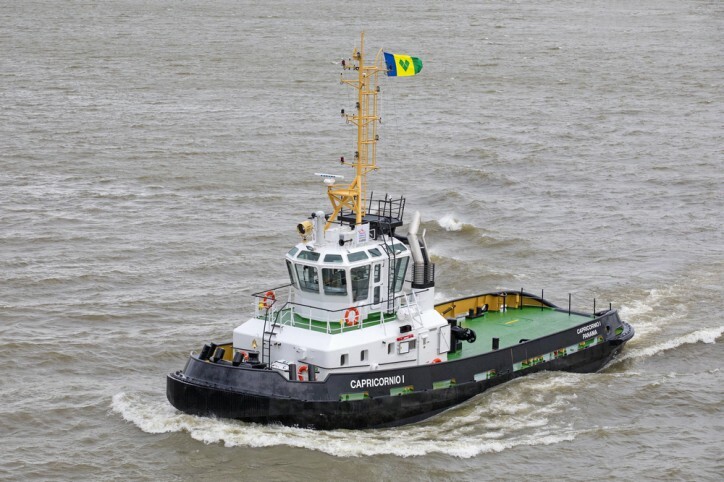 Caption: Damen Stan Tug 2608 "Capricornio I"
The contract included a comprehensive selection of spares, and all the vessels will be fitted with power converters over the next few months to compensate for the fact that Cuba, like North America, generates power at 60 Hz. Damen’s build-for-stock vessels are equipped for 50 Hz, the standard across around 80% of the rest of the world. Damen also organised export credit insurance from Atradius (the Export Credit Agency of the Netherlands). In order to qualify, the order was placed through Gilmar Project Finance Establishment, a company based in Europe, having a branch duly registered at the Chamber of Commerce of the Republic of Cuba. 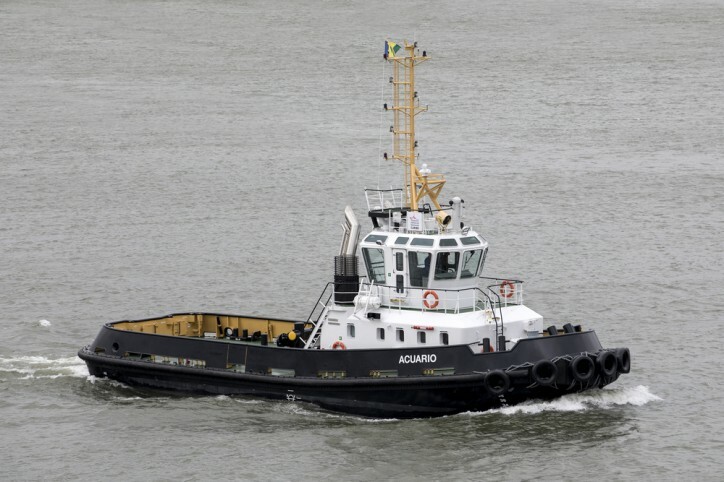 Caption: Damen Stan Tug 2608 "Acuario"
The five new tugs have joined around 40 other Damen tugs, tankers and RoRo ferries operated by GEMAR. They will be based in Havana, but undertake assignments at ports and harbours right around the main and subsidiary islands and cays.